There’s nothing that THE Audrey Hepburn graces and I’m not awed. This movie, about a bored, sheltered princess who escapes her guardians and falls in love with an American newsman, showcases the epic-esque beauty of the 1950’s Rome. 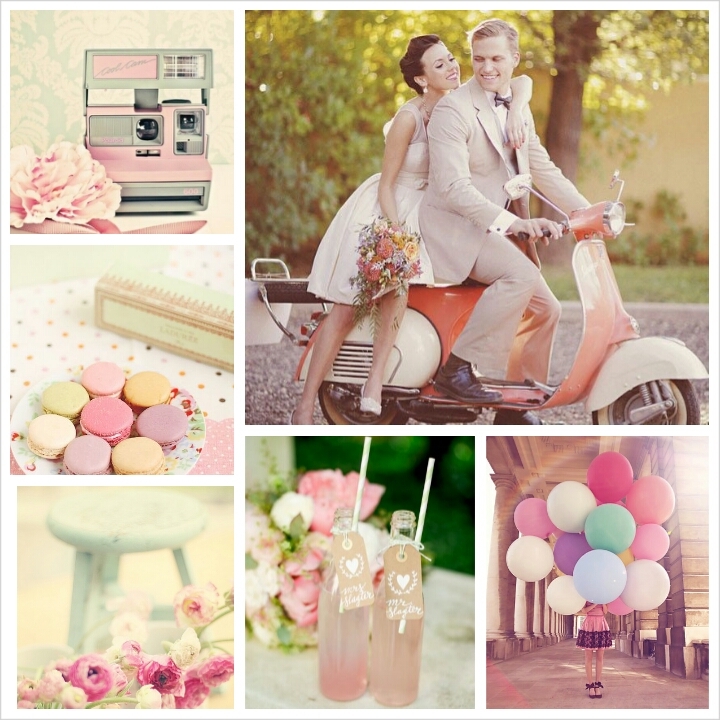 Think of a romantic, vintage wedding with an outdoor Cafe ambiance for your reception, a color palette of the softest pastels, roses everywhere, a lovely tea length wedding dress and comfy wedding flats for you, and to top everything off, a Vespa as your getaway vehicle to boot.